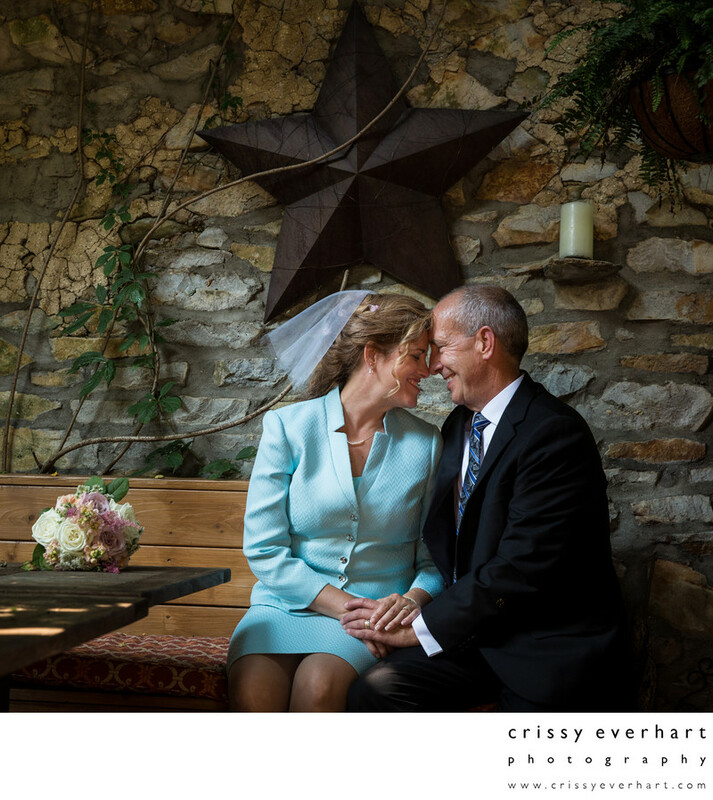 This bride and groom enjoy a moment at the General Warren Inne in Malvern. They sit in a little dining cove, under a metal star and in front of a stone wall. The bride's bouquet rests on the table. Location: 9 Old Lancaster Rd, Malvern 19355.